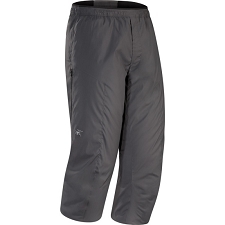 Haglöfs lightweight, highly compressible trousers. 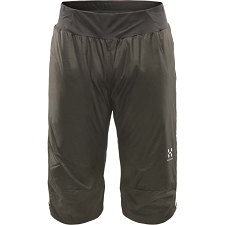 Versatile and lightweight they are optimally designed for all kinds of activities: The water repellent fabric favouring their use in even more unfavorable weather conditions. Thanks to their high compression capacity they're also easy to store and transport. 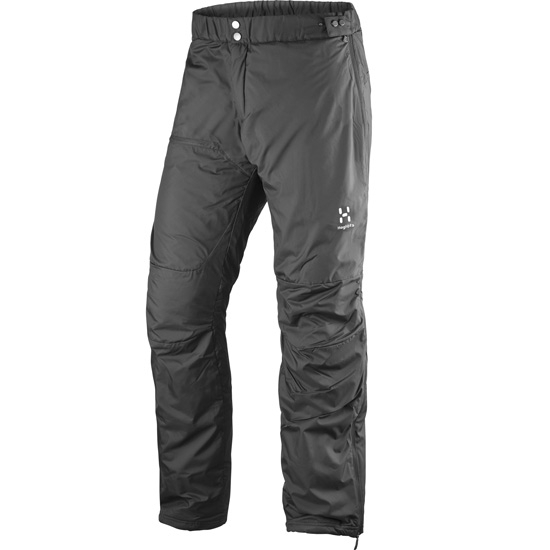 The Barrier Pant incorporates a slight fill of Quadfusion synthetic hollow fibers, which stand out for their incredible thermal capacity while remaining lightweight and highly compressible. Additionally, they have DWR water repellent treatment without fluorocarbons, providing environmentally friendly protection. 100% polyester outer fabric with DWR water repellent treatment. 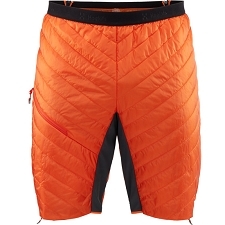 Quadfusion synthetic fibers, 50% recycled polyester and 50% polyester. 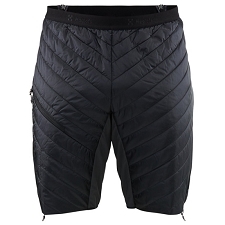 Waterproof, water repellent and compressible. Adjustable elasticated waist with button closure. Complete side ventilation zippers for easy positioning. Compressible - Fits in your own pocket. Bluesign & reg; Certificate, environmentally friendly protection. Approximate weight 435 g (size L).